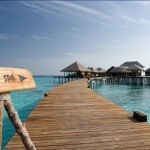 Coco Palm Bodu Hithi truly is the epitome of all Maldives holidays. 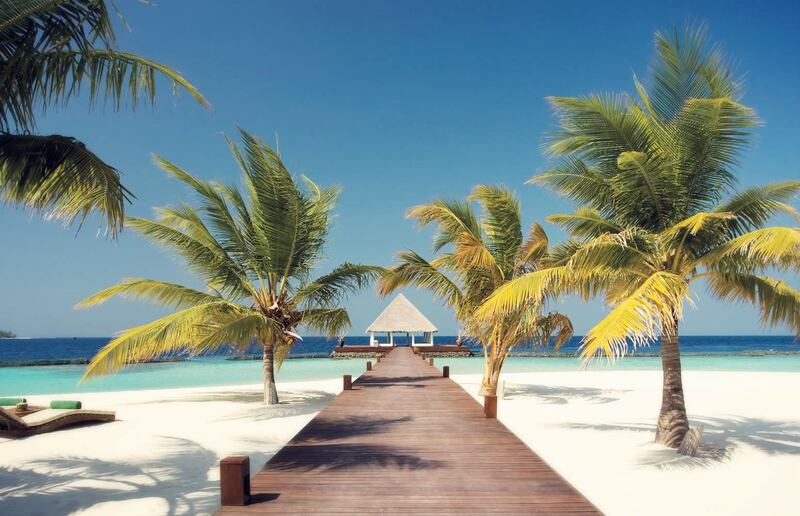 Located 60 minutes by speedboat from Malé, the crystal clear lagoon contrasts the soft, white sands with their swaying palm trees and make this resort one of the most fabulous places in the world. Your decadent villa will exceed all your expectations, as will the attentive service and culinary delights of the many restaurants here. Indulge in fine food and snazzy cocktails, deeply relaxing hours on the beach and the wide range of activities on offer. 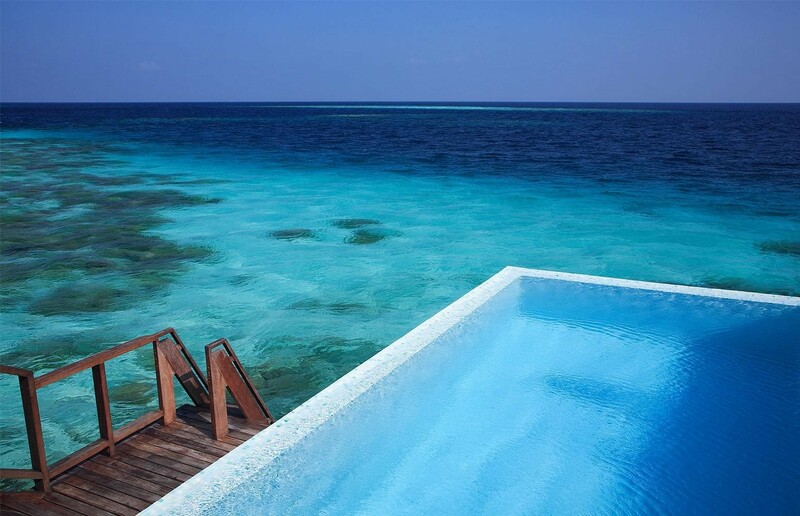 Sunbathing feels so much better after you have been windsurfing, diving or perhaps snorkeling in the wonderful corals… This resort offers peace and tranquility, as well as first class sports, which makes a Maldives holiday here simply unforgettable. With all-year-round temperatures of 30 degrees Celsius and a soothing tropical breeze from the Indian Ocean, Coco Palm Bodu Hithi is your piece of paradise. 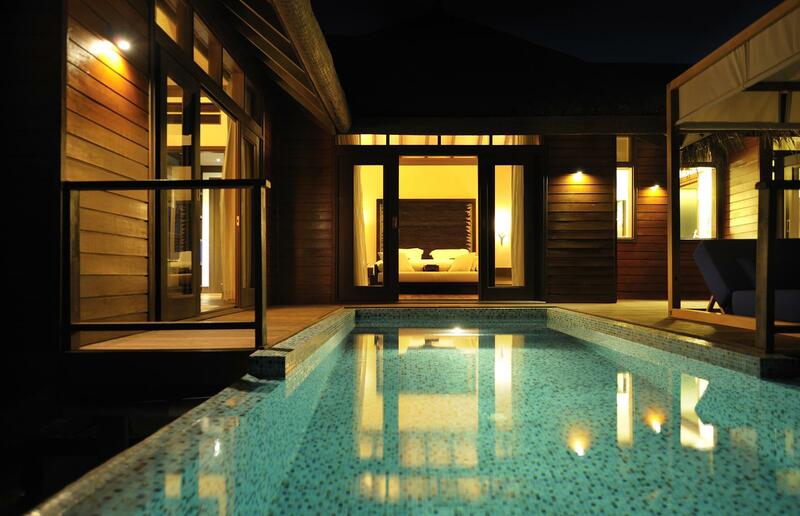 The Island Villa (188 sqm) is one of the most popular villas of the resort. The space offered and a central bathtub overlooking the ocean make you feel peaceful and relaxed here. 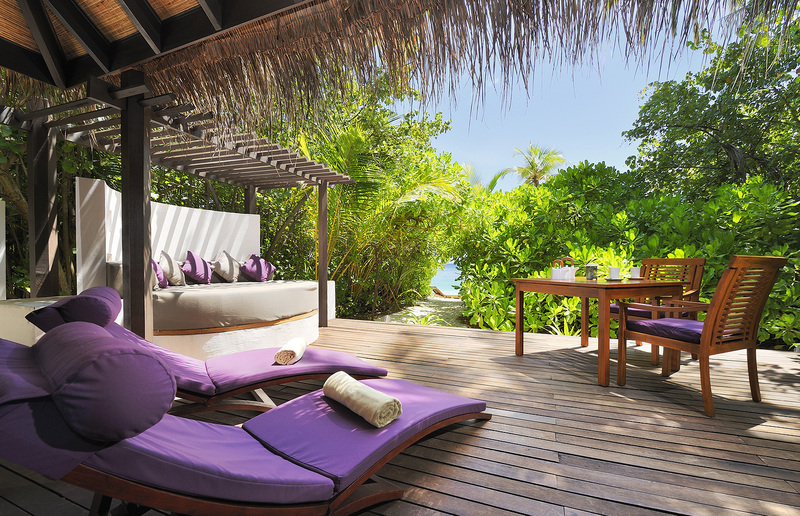 You have your sundeck with a private pool and a lovely day bed. While you’re enjoying yourself on the beach or splashing around in the lagoon, you can keep your belongings in your private safe. 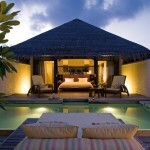 The impressive music system and bar facilities will make the Island Villa the ultimate Maldives accommodation. 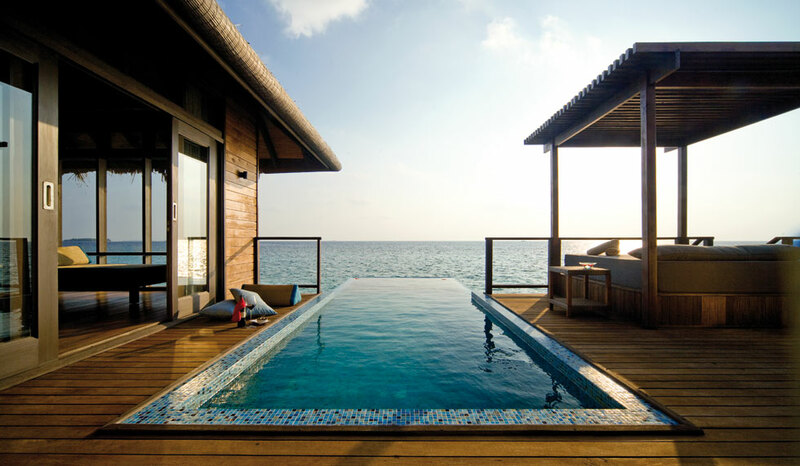 The Water Villa (109 sqm) includes a spacious designer bathroom, a private bar, indoor and outdoor showers as well as your own secluded sundeck. 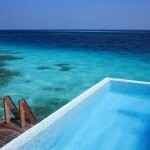 This accommodation is all about enjoying a relaxing and comfortable Maldives holiday. 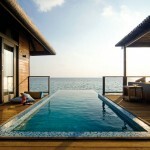 The Escape Water Villa (144 sqm) is a simply stunning place to stay. Thanks to the large outdoor living area and the lovely infinity pool, you are guaranteed the very best views of the gorgeous lagoon. 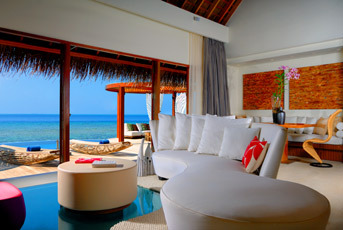 Each room has floor to ceiling windows for you to indulge in the Maldives beauty all day long. 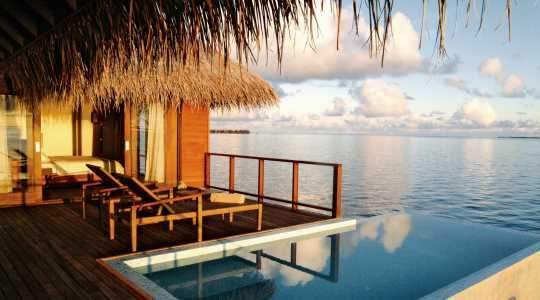 Your private terrace and the direct access to the lagoon make the Escape Water Villa the perfect romantic holiday for two. 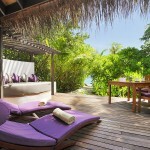 The Coco Residence (184 sqm) is the most luxurious villa on the island. It’s located in the exclusive Club area and features impressive design, a king size bed in the chic bedroom, a private terrace and an amazing outdoor pool. You have the choice of indoor and outdoor showers, and with direct access to the lagoon the Coco Residence it is ideal for private water parties. 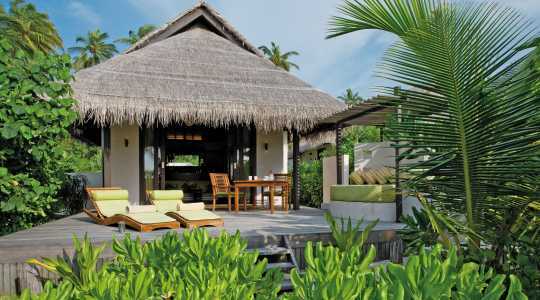 You can bask in the warmth of the Maldivian sunshine and enjoy the beautiful pavilion. Your dedicated butler will make sure you have everything you could possibly ask for – making a stay in the Escape Water Residence the pinnacle of what you’d expect from a luxury Maldives holiday. Residents can enjoy exclusive Club benefits such as champagne, VIP private minibars, complimentary water and fresh fruits every day as well as luxury bubble bath presentations. You will also have daily complimentary access to the water sports, as well as a valet laundry service (10 pieces) and complimentary yoga and hydrotherapy sessions. 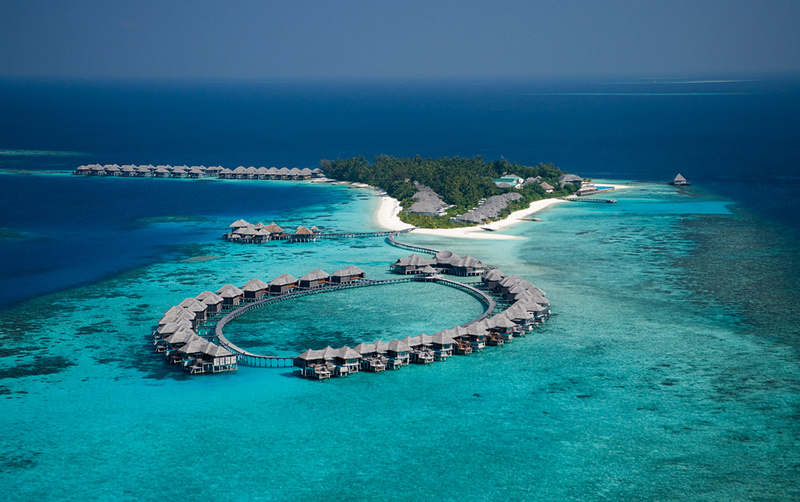 A holiday at Coco Palm Bodu Hithi will be supplemented by a wide range of exclusive facilities, including watersports, tennis, breathtaking infinity pools, over-water fitness area, a pavilion for relaxing yoga and Tai Chi sessions, as well as excursions to nearby tropical islands. 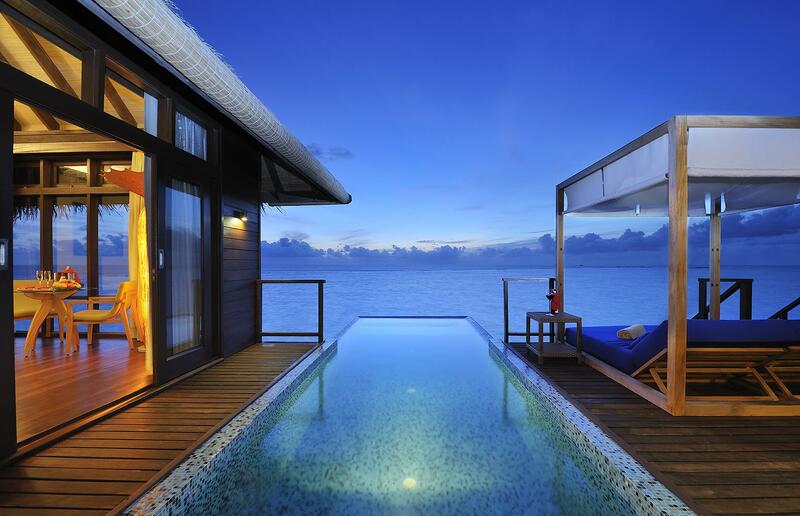 This resort has everything you could possibly ask for in a Maldives holiday. Coco Spa is designed to cater for all your needs. 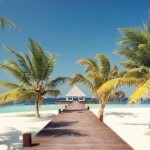 Located with stunning views of the Indian Ocean, the experienced staff will work wonders with natural healing therapy. The spa offers traditional treatments aimed to rejuvenate your body and mind. 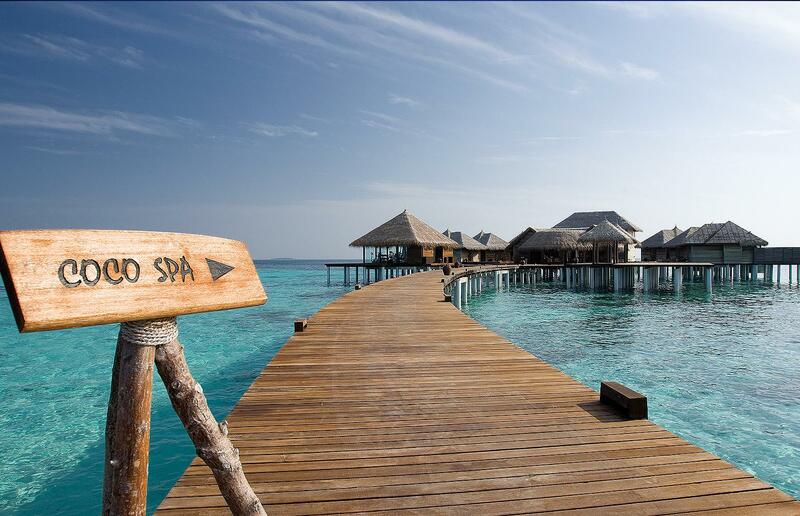 A relaxing massage is the perfect ending to a day in the warm sunshine of the Maldives. 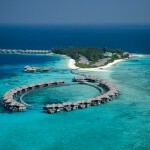 Guests at Coco Palm Bodu Hithi are spoiled to seven restaurants and bars on their Maldives holiday. And it’s not just any restaurants… no matter where you opt to eat you can be sure to experience fine dining as it should be. Air is a casual affair in which you dine in a relaxed setting, from either the varied buffet or from the innovative a la carte menu. 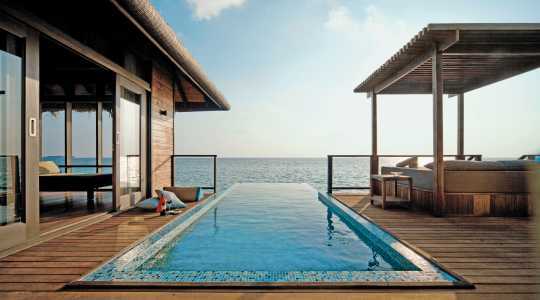 Aqua, as you would expect from the name, has the most brilliant surroundings: it stretches over the Indian Ocean. On the menu you will find fresh sea food seasoned with typical Asian spices, making any meal here a pleasant experience. The Stars is an exclusive, intimate restaurant for Club Coco guests. This is the perfect restaurant for a romantic meal of high quality cuisine from all over the world. Tea and coffee is served here in the afternoon. 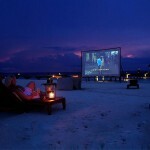 Latitudes is located on the beautiful beach and includes a stunning panoramic view of the lagoon. Here you can try out a wide range of delicious snacks and beverages. Tsuki is located on the first floor of Latitude. This restaurant serves authentic Japanese food. The Wine Loft is the perfect place to sip on some of the world’s most famous wines, while you watch the sun set over the Indian Ocean. Snacks are available to accompany your drinks. Breeze lives up to its name, as it’s located by the ocean and has a relaxed atmosphere. 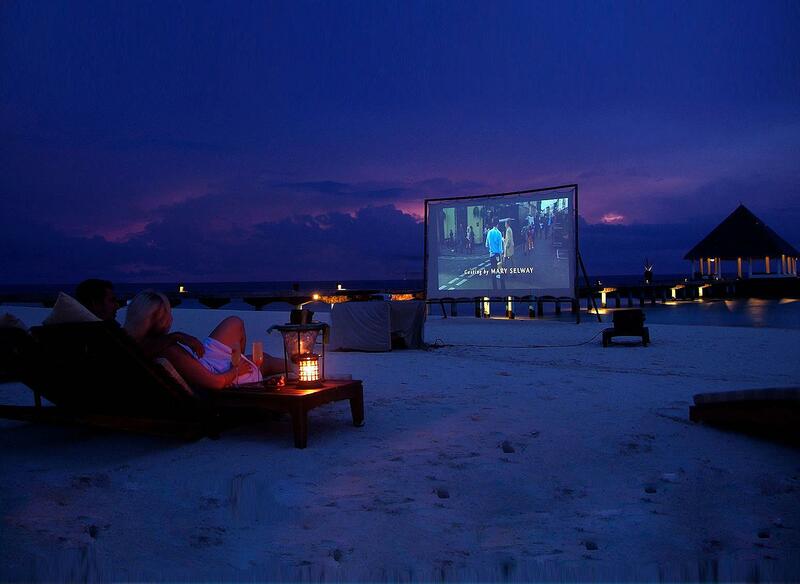 The casual setting and impressive al fresco dining makes this the most popular place to dine at Coco Bodu Hithi. It also has the unique feature of cooking your food to your exact preferences. In-villa dining is also available for a completely exclusive dining experience. 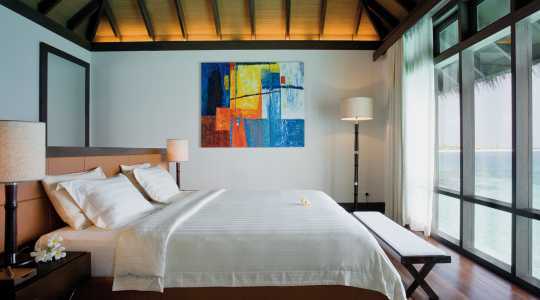 Simply Maldives Holidays offer Bed and Breakfast, Half Board and Full Board packages for guests staying at Coco Bodu Hithi. o All meals (daily breakfast, lunch and dinner) in a sumptuous buffet-style at Air Restaurant. o All meals (daily breakfast, lunch and dinner) in Air Restaurant or at Stars Restaurant or on a’ la carte (For Coco Residence bookings only). o Lunch option at Latitude Bar with special all-inclusive menu (For all guests). o Dinner dine-around option at Tsuki, Aqua and Stars, with a dedicated extensive all-inclusive menu; Advance reservations are required (For all guests). o Unlimited access to selection of wines around the world including France, Chile, Italy, Argentina, South Africa, spirits, beer, liquor, cocktails, mocktails, various juices, soft drinks, mineral water, selection of tea & coffee available from the All Inclusive Sprits & beer menu at Latitude Bar from 10:00-00:00 hrs (For all guests on All Inclusive). o Unlimited access to selection of wines around the world including France, Chile, Italy, Argentina, South Africa, spirits, beer, liquor, cocktails, mocktails, various juices, soft drinks, mineral water, selection of tea & coffee available from the All Inclusive Sprits & beer menu at Star Bar from 10:00-00:00 hrs (For all guests on All Inclusive). o Unlimited access to selection of wines around the world including France, Chile, Italy, Argentina, South Africa, spirits, beer, liquor, cocktails, mocktails, various juices, soft drinks, mineral water, selection of tea & coffee available during dinner, served by the glass at Aqua and Stars Restaurant from 18:30-23:30 hrs (For all guests on All Inclusive). Advance reservations are required. o Complimentary snorkeling equipment (mask, fins, snorkel) per person with unlimited use until departure day. o All-day access to the over-water fitness gym. o Use of non-motorized water sports equipment with life jackets (ie; Kayak, Catamaran, Windsurfing and Canoe). Lessons excluded. Stand-Up Paddle is not included. o In-villa mini bar soft drinks and water replenished daily. o Daily in-villa supply of bottle of water per person. o Unlimited in-villa tea & coffee facilities. o Special occasion celebration cake (if notified in advance). o Complimentary Wi-Fi internet access all over the resort and in the villas.  Beach BBQ, Wine Dinners or any special dining events are not included in All Inclusive Benefits. 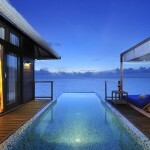 Honeymooners staying at Coco Bodu Hithi will receive complimentary honeymoon extras, depending on their type of Villa. A complimentary bottle of sparkling wine, tropical fruit platter, special bed decoration plus a romantic 3-course candlelit dinner and a 10% discount on all spa treatments. A complimentary bottle of Champagne, tropical fruit platter, special bed decoration plus a romantic 3-course candlelit dinner and 10% discount on all spa treatments. A complimentary bottle of Champagne, tropical fruit platter, special bed decoration plus either an in-villa Champagne breakfast or a romantic 3-course candlelit dinner and 15% discount on all spa treatments. Terms: Wedding certificate to be presented at check-in. 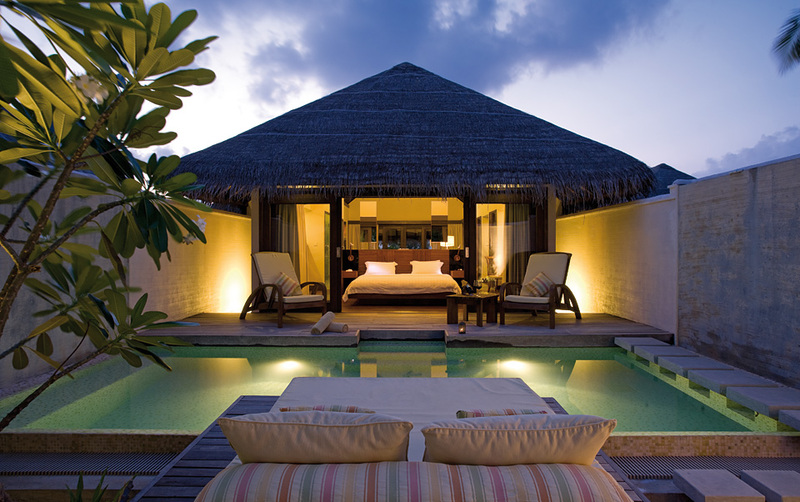 Honeymoon benefits are applicable up to six months from the date of the wedding. For guests celebrating their anniversary, the following benefits are available depending on the type of villa. Complimentary sparkling wine and cake. All benefits are subject to availability. Complimentary Champagne and cake. All benefits are subject to availability. One complimentary welcome cocktail, a bottle of champagne, tropical fruit platter, special bed decoration, plus either an in-villa champagne breakfast or a romantic 3-course candlelit dinner and 15% discount on all Spa treatments. (excursions are conducted in groups and are subject to weather conditions).